The smartwatch industry hasn’t taken off the way we all hoped it would, but it seems luxury brands haven’t gotten the memo. 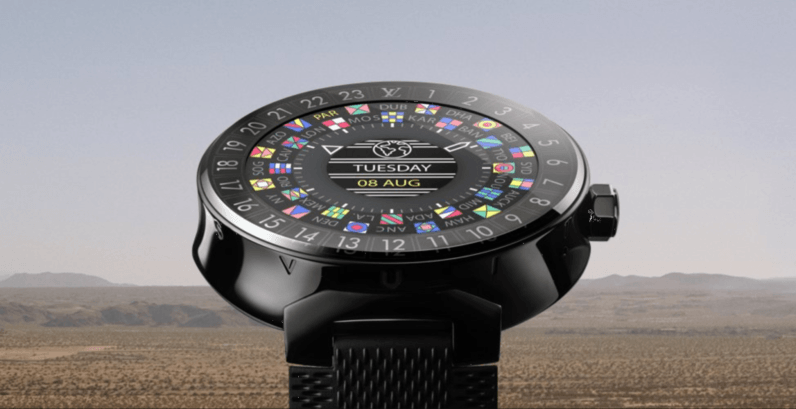 Today Louis Vuitton announced the Tambour Horizon Connected Watch, coming in at the low, low price of $2,450. It’s basically just a normal Android Wear watch, with a Snapdragon 2100, 4GB storage, 512MB RAM, and a 390 x 390 AMOLED screen. For the price one would at least hope for a heart rate sensor. The only unique features appear to be a ‘Vuitton City Guide,’ which is a tour guide of questionable quality on your wrist, and ‘my Flight,’ which gives you flight information. Alrighty then. Look, I know the type of people buying luxury fashion items aren’t looking for value. Still, I can’t help but feel that if you really need Louis Vuitton branding on your wrist that much, you could just buy a decent Android Wear watch and add some Louis Vuitton bands instead right? But hey, who cares about logic. This isn’t the first Android Wear watch by a luxury brand, mind you. The original $3,000 Tag Heuer Connected was Android’s first competition to the similarly expensive Apple Watches, but at least with the Tag Heuer you had the option to swap it out with a mechanical watch once it became obsolete. Then there’s the newer Connected 45, which actually has some cool modular features. In that vein, the company is going to planning on releasing “connected footwear, and connected ready-to-wear” to embrace the internet of things. We can’t wait.